Burnley Football Club have issued the following information to assist Burnley supporters ahead of next Wednesday’s Carabao Cup second round tie at Ewood Park. Burnley Football Club will pay for the coaching of all supporters to the game, either from Turf Moor or via Supporters Clubs. Tickets bought by one of the methods listed below will include a voucher, which includes a departure time and zone location for pick up. There is one pick-up point, which is Turf Moor. The first convoy of coaches will leave at 6pm. Please note that due to limited planning time and the locations in proximity to local businesses, we are regrettably unable to utilise the pick-up points previously used at Widow Hill Road and Lower Phillips Road, both in Blackburn. Supporters Clubs’ coaches will meet at Rishton (A678, Blackburn Road, nr East Lancashire Sailing Club, BB1 4ET, facing Whitebirk roundabout). Please ensure you arrive at your departure point 15 minutes before embarking. Supporters are requested to present relevant coach and match tickets when boarding their allocated coach. Supporters are also asked to adhere to the ticketing sales policy, otherwise they may be refused access to the transport provided. Food and soft drinks can be taken on board the coaches, but Blackburn Rovers have implemented a ‘no-bottle policy’ within the Ewood Park stadium. This includes glass and plastic bottles. However, flasks are permitted. Therefore, supporters are requested to leave bottles either in the waste bins provided at Turf Moor, or at the turnstiles at Ewood Park. No alcohol will be permitted into the North East car park, and you may be searched on entry. The James Hargreaves (lower tier) concourse will be open until 6.30pm for toilet facilities and refreshments. Burnley have been allocated 5,000 tickets for this game and these will be sold in-line with the sales policy of the host club. The first 3,000 tickets will be sold in the lower tier of the Darwen End. Only once these are sold, will upper tier tickets be released for sale. 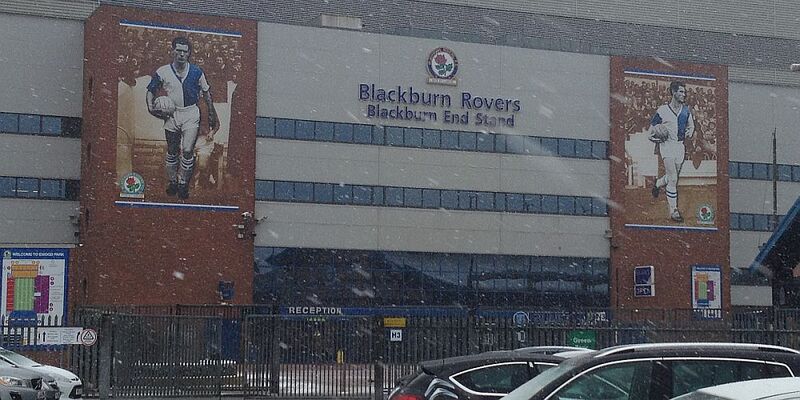 Discounted ticket prices will be available to Season Ticket Holders of both Blackburn Rovers and Burnley. Tickets will go on sale from 5pm on Tuesday, August 15 online HERE and from 9.15am on Wednesday, August 16, in person. PLEASE NOTE: Supporters Clubs can only offer travel to season ticket holders who have purchased a ticket for this game. Season ticket plus 3,000 points: 5pm, Tuesday Aug 15 (online only). 9.15am Wednesday in person at the ticket office. Season ticket holders: Thursday 9.15am (online and in person at the ticket office). The ticket office will also be open for sales to season ticket holders 10am-2pm, Sunday August 20. General Sale: Monday, August 21 at 9.15am online and in person at the ticket office. (Note: all supporters must have an existing Clarets number). NB: ALL tickets purchased must be picked up from the Turf Moor ticket collection point on Harry Potts Way. Tickets ordered online after 4pm on any given day will be available for collection on the second, subsequent day (eg: Ordered at 4.01pm on Wednesday, available Friday am). Please note: we strongly advise the collection of tickets as early as possible to avoid unnecessary queues on the day, and be fully aware of departure times. Please note, if you miss your allocated coach, you will not be permitted to board another coach. A dedicated window will be open at the collection window on Harry Potts Way at the following times, to assist supporters. Thursday 17th and Friday 18th: 9.15am – 7pm. Saturday 19th: 9.15am – 1pm. Sunday 20th: 10am – 2pm. Monday 21st and Tuesday 22nd: 9.15am – 7pm. Ticket sales and collections for this game (in person) will cease at 1pm on Saturday, August 19. Fans can check Loyalty Points by logging into the Clarets Store using your Clarets Number. Burnley Football Club respectfully asks all supporters to conduct themselves responsibly. Stewards and Police will be available at coach departure points and within the stadium for assistance and for any queries.